Recently I’ve had the opportunity to act at a local theater in its production of Jekyll and Hyde, the ultimate good vs evil with outstanding choral musical score that never fails to give me goosebumps. It’s been ten years since I’ve treaded the boards and it’s been great fun and a wonderful stress reliever for me. I’ve also been told I’m a natural as a snooty society lady, LOL! As an actor, one of the things which happens as I progress through the show is taking my character and making it truly mine—so it’s a different show if you see my double. My movements, my expressions and the way I interact with other characters has evolved since we started the show and I’ve gotten to know “myself” better. 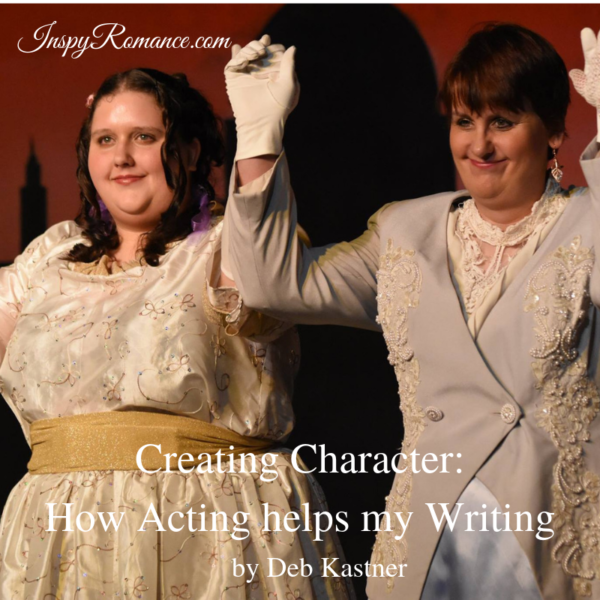 In many ways, that’s how creating characters in my writing works for me. My books always begin with my characters “introducing” themselves to me, followed by them “telling” me what kind of trouble they are in and that they need me to find them a way out of it. At first, I don’t know my characters very well. They are, in some ways, stick figures, much as I was the first time I stepped on the stage and took on my role as a high society lady during rehearsals for the show. But by spending more time in rehearsal, or in writing, I get to know my characters better and they truly come alive for me. It’s at this point where, in my books, they’ll likely take off and do their own thing, surprising me as much as (I hope) they surprise the reader. Similarly, I started interacting with other cast members and (I hope) am now bringing something uniquely me to the stage production. Do you get Deb’s Newsletter? Sign up HERE! For more information on Deb’s books, visit her website HERE! I can totally see how acting can be beneficial to a writer. Hi Deb! Thanks for sharing. Characters on stage and in books are intriguing and inspiring. Best wishes. What fun that looks like! 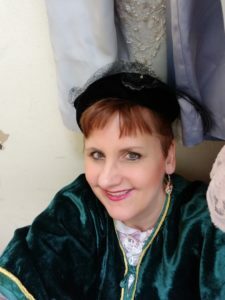 I always thought I could be an actor….but then I have this uncanny ability to not be able to lie, lol, I cannot fib at all – it is written all over my face, hahaha! I’ve not done much acting, but I sometimes act out a situation in my stories in my head. This is very interesting. I can see how acting would just naturally roll over into writing. And writing well. Thank you for sharing today. Oh, and by the way…the woman next to me in the picture is my beautiful oldest daughter Annie! That’s awesome you found a way to get to know your characters better. I enjoyed the acting I did in my high school drama class (Improv). Sounds like a fun experience. And how neat that you get to be in the show with your daughter. I’m a theater fanatic! I absolutely love … to watch it from the seats! Never in my wildest dreams could I be an actor. Congratulations on your multiple talents!